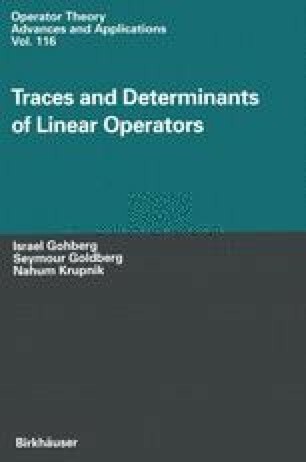 In this chapter we obtain Cramer’s rule and the formulas for the resolvent which are expressed via the extended traces tr(A k ) of iterations and regularized determinants. This chapter may be viewed as a generalization of the results in Chapter VIII. In the main formulas in that chapter the determinants are replaced here by the corresponding regularized determinant.